Love watching the ladies of PwnedByGirls get their game on? well now you can listen to them every Tuesday night live! 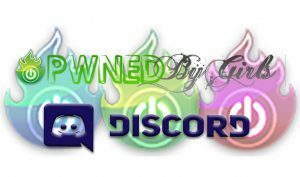 DemonSeedRadio brings you the PwnedByGirls Podcast each week, with replays available for download coming soon! Hosted by Alana Evans LilBlueBox, and Penny Lane. The girls talk about gaming, streaming, comic cons, and more. With guest from all walks of the comic-culture lifestyle, each two hour show is always a lot of fun! To listen, click the links below! To listen to ALL PAST EPISODES check out our SoundCloud page! You can also download episodes from iTunes, Google Play, and Switcher!